Capture your audience’s attention and interests. Customize the look and feel to fit any device. takes a break, she just keeps on bringing you traffic, engagement, and leads. on scores on different characteristics or personas/outcomes. and/or in a custom PDF report that will be emailed them automatically after they complete the quiz. in a Custom PDF report that will be emailed automatically after they complete the quiz. market research and customer feedback. You can convert your surveys to quiz and vice versa. Why not run engaging polls on your site in addition to quizzes and surveys? Create a poll that performs great & look amazing. It takes seconds to start. You can redirect based on answers, use lead capture, create customized offers based on answers – and give feedback based on answers. You can share your results, give feedback based on answers – you can also ask your audience to rate/review something! The Results Page and Social Sharing was like printing money. We generated over 25,000 leads and made over $250,000 in under 3 weeks. We were using DilogR for our video platform and for market research surveys. We wanted to add a poll to our website and we LOVED that we didn’t need to go find ANOTHER vendor. DilogrR consolidates so much for us under one roof. DilogR’s social quizzes are so easy to create and so viral. We love them. Our audience is addicted to trivia and DilogR allows us to build amazing trivia quizzes in minutes. Track the success of your campaigns. 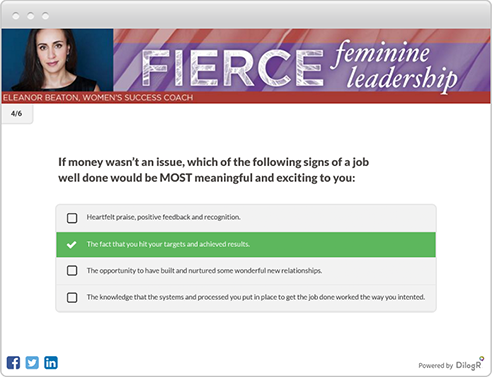 Gain actionable insights from quiz and survey responses. Integrate with CRM, MAP ( *Marketing Automation Platform), and email marketing tools. Send leads and quiz data from DilogR directly into your marketing automation platform, CRM, or email marketing system. Use this data for lead scoring, segmentation, and ROI tracking. Send highly targeted content to your most engaged leads at exactly the right moment based on their persona, score, or answers to questions. 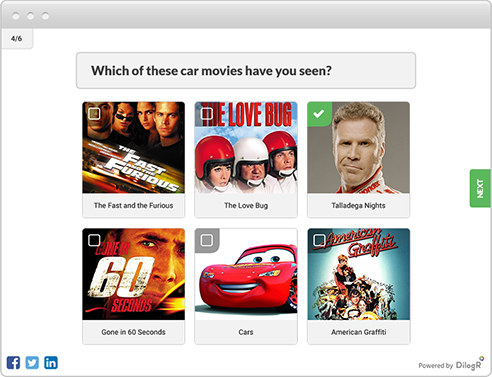 Use DilogR's intuitive interface to create and share quizzes in minutes. Include GIF images as answer choices to make your quiz pop. 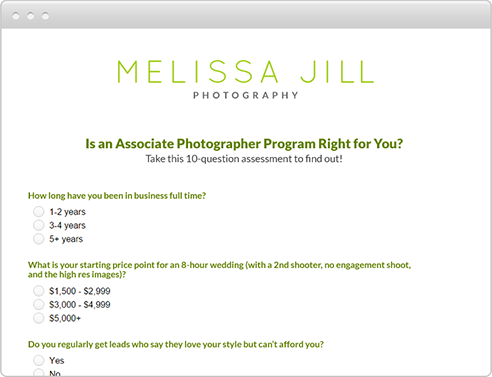 You can even embed video on your results page to make the most engaging multi-media quiz ever. 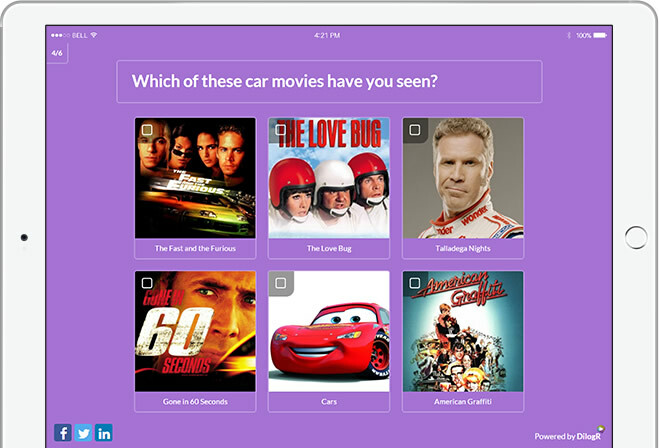 DilogR Quizzes look amazing on every device, every time. Our simple embed code works perfectly with responsive websites. Create Insanely shareable quizzes like Buzzfeed using DilogR's step by step personality quiz builder. 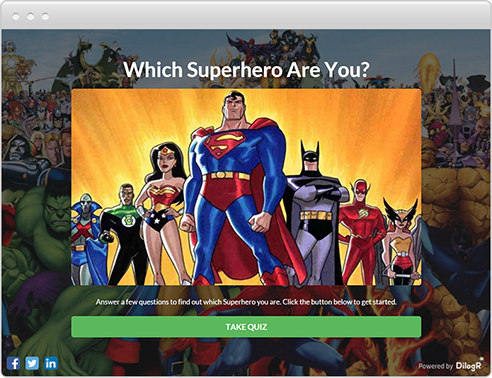 Think "Which superhero are you?" or " Which state should you live in?" The Social Personality Quiz is like an employee who never rests or takes a break, she just keeps on bringing you traffic, engagement, and leads. Generate more traffic, engagement and leads with a simple scored quiz. Create a trivia quiz like "How well do you know Katy Perry" or "What's your stock market IQ?" With DilogR's step by step Scored quiz builder you can have your quiz up and running in minutes. Have you ever taken the DisC assessment or other similar assessments? They allow you to see how you score on multiple characteristics or personas. DilogR's advanced persona quiz builder allows you to create quizzes like "Discover your top 3 strengths" or "Discover the 3 characteristics that are holding you back from success". The advanced quiz builder allows you to create customized feedback based on individual answers as well as feedback based on scores on different characteristics or personas. 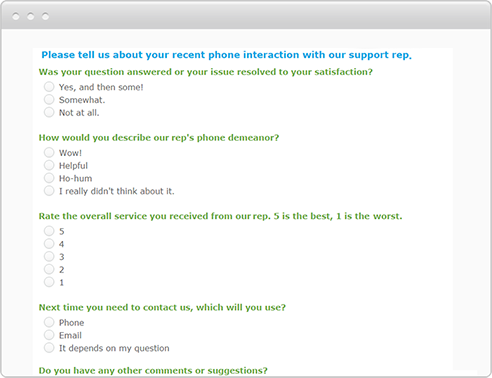 You can present this feedback to the quiz taker on the thank you page and/or in a Custom PDF report that you email them after they complete the quiz. DilogR customers have built some amazing scored assessments like "How Productive are you", "How good is your follow up marketing", and "How well are you recognizing your employees". These assessments are more than just a simple scored quiz. They allow you to create customized feedback based on individual answers as well as feedback based on overall score or score on different sections of the assessment. You can present this feedback to the quiz taker on the thank you page and/or in a Custom PDF report that you email them after they complete the quiz. OK. A survey is not a quiz. Sure. But DilogR does surveys too! Why don't you just replace all of your other vendors with DilogR? Use DilogR surveys to conduct market research and Customer feedback. You're right, a poll isn't a quiz either. But why not run engaging polls on your site in addition to quizzes and surveys? Drive Social Traffic with your Beautiful shareable quizzes. Quiz takers can share their results on social media driving traffic back to your website. You can customize the URL that gets shared on the Facebook, Twitter, and Linkedin posts. Quizzes are one of the most viral types of content on social media. 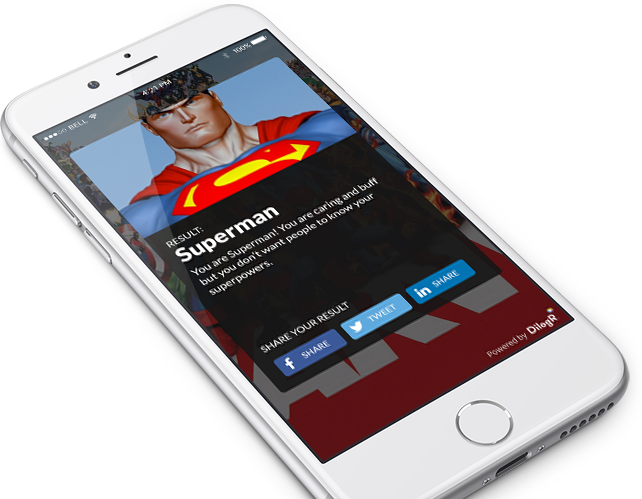 DilogR makes it easy for anyone to create quizzes and generate social traffic to your site or landing page. Give feedback and present recommended products, services, offers, and content based on how people respond to your quiz. Include recommendations in the results page as well as in a custom PDF report to drive people to continue the Dialogue with your brand. Generate leads by including a lead capture form as part of your quiz. This lead capture can or appear at the end of your quiz as a gate before the results page or appear at the beginning of your quiz if you want to gate access to the quiz completely. You can choose to make the lead capture mandatory or include a "skip" button if you want the lead capture to be optional. 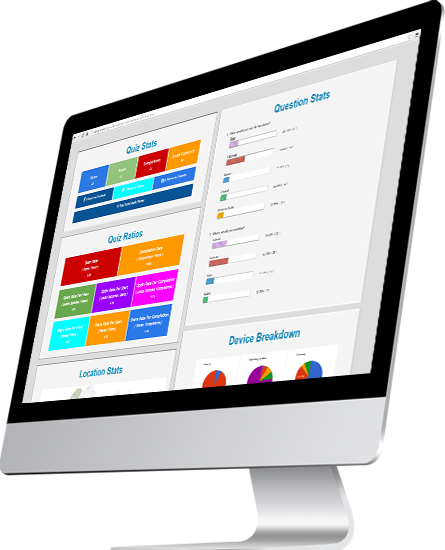 Send leads and quiz data from DilogR directly into your marketing automation platform, CRM. or Email Marketing system. Use this data for lead scoring, segmentation, and ROI tracking. Send highly targeted content to your most engaged leads at exactly the right moment based on their persona, score, or answers to questions.